The US and India will give a wide berth to trade in the 2+2 dialogue beginning on Thursday, and instead focus on defence and foreign affairs. The issues around trade gaps between the two countries will be addressed separately. The inaugural edition in New Delhi will have US Secretary of State Mike Pompeo and Defence Secretary James Mattis meeting Indian External Affairs Minister Sushma Swaraj and Defence Minister Nirmala Sitharaman. The Ministry of External Affairs (MEA) has refused to include some trade issues in the talks. “Both nations have decided to keep trade issues separate, and plan to discuss them under their trade agencies. 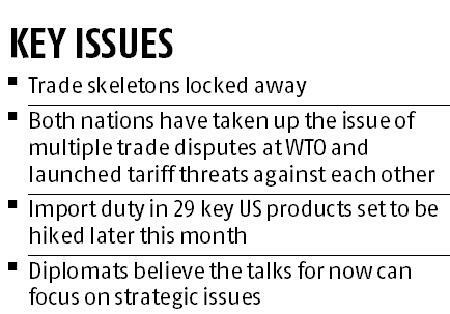 Some grievances on trade, from both sides, might come up during the talks, but the discourse will firmly be about foreign policy and defence,” a senior MEA official said. The predecessor to the current talks, ‘India-US Strategic and Commercial Dialogue’, had started in 2015. However, after two annual rounds, a decision was taken to carve out trade issues into a separate annual discussion — ‘India-US Commercial Dialogue’. In the first edition of the trade talks, Commerce and Industry Minister Suresh Prabhu had gone to Washington DC in October last year. No plan for talks this year has materialised as yet. This year, US President Donald Trump’s administration has dragged India to the World Trade Organization multiple times over New Delhi’s export-promotion schemes and restrictions on solar cell imports. India, too, has lodged a case against steel and aluminium tariffs imposed by the US. In July, US tariffs led to India announcing retaliatory duties on 29 key agricultural products. This will come into effect on September 18, and will add $240 million to the exchequer. This is the exact amount India will lose because of the US tariff hikes on steel and aluminium. Apples, almonds and walnuts from the US will attract 50 per cent higher tax. Some industrial products and steel will also be hit. India is the largest destination for these goods. “We are discussing the tariff, as well as other issues with the US on a regular basis. That will continue separately,” a senior commerce department official said, adding a broad consensus on annual trade talks has not been reached because of current tensions. 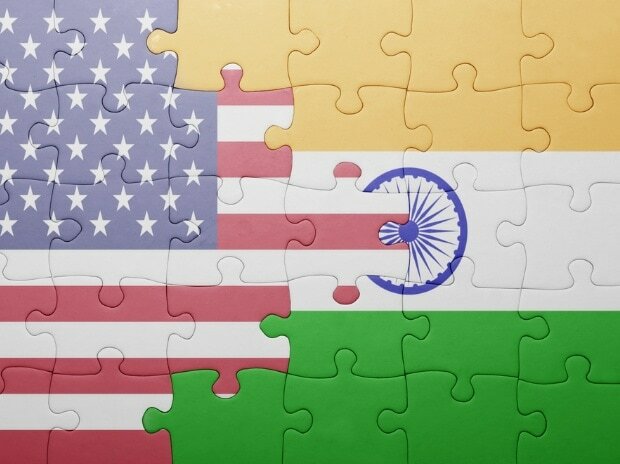 Trade experts have advised India to be cautious while responding to the US tariffs. “Imports will become unaffordable because of increase in Customs duties. With the new trade barriers, this increase will make domestic manufacturing more attractive,” said M S Mani, indirect tax partner, Deloitte India. During his election campaign, Trump had targeted white-collar technical workers from India immigrating to the US and working for software and information technology companies. The resulting visa issues will be discussed in the talks. A senior US diplomat said removing trade issues, which often lead to a difference of opinion provided space for strengthening the strategic interests of both nations, which are mostly aligned.